"With the recent passing of Mr. Mitchell, I feel an even greater responsibility to share and grow the vision he began," says longtime company member Lindsey Croop. "Art is both transformative and transcendent, and because of DTH, there is a place for everyone." Photo by Kyle Froman for Pointe.ne." "Keep the rhythm going," calls Robert Garland, Dance Theatre of Harlem's resident choreographer, from the front of the studio. Five company women pulse through a series of syncopated pony steps, upright arabesque sissonnes and funky, Motown-inspired dance moves. It's an open rehearsal in early September, and the company is giving curious audience members a sneak peek at Garland's upcoming world premiere—one of several new works this season as DTH celebrates its 50th anniversary. Founded in 1969 by former New York City Ballet principal Arthur Mitchell and Karel Shook, DTH was groundbreaking in its makeup of mostly African-American dancers, and its insistence that they could excel in ballet. "We were a bunch of dancers who had been told no, we couldn't do this, and Mr. Mitchell was giving us a chance to show that we could," says artistic director Virginia Johnson, a founding company member and former principal. "He was a very demanding taskmaster—he knew there was something very important to prove and that it was on us to prove it." Derek Brockington during the company's Thursdays @ DTH open rehearsal. "A huge highlight [of the season] was meeting and working with the great Mr. Mitchell himself," says DTH dancer Crystal Serrano. "Bringing some of the past as we revive [his] works, along with showcasing how Dance Theatre of Harlem has thrived to this day, is all very exciting." Major ballet companies are banding together for The Equity Project, to increase the presence of black dancers in ballet. Photo by Joseph Rodman, Courtesy DTH. Twenty-one ballet organizations have come together to support the advancement of racial equity in professional ballet. 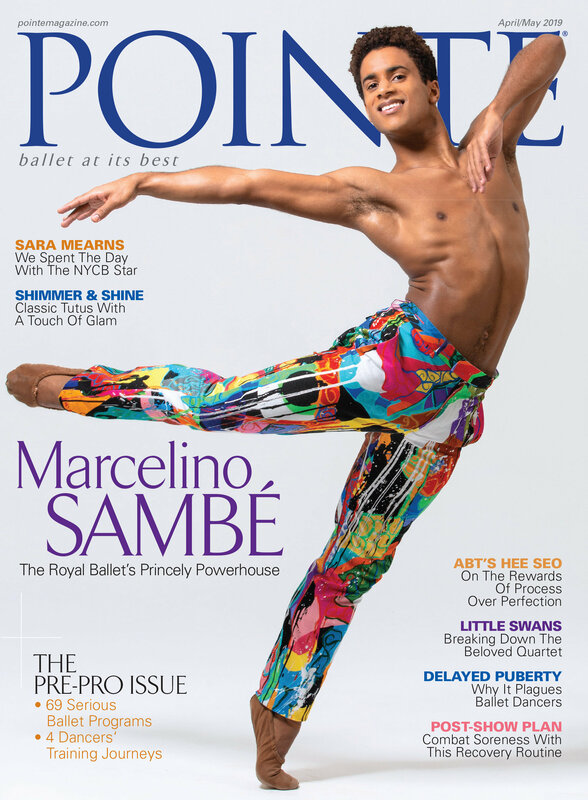 They're all part of The Equity Project: Increasing the Presence of Blacks in Ballet, a new effort being led by Dance Theatre of Harlem, The International Association of Blacks in Dance and Dance/USA. Photo courtesy The International Association of Blacks in Dance. Former New York City Ballet principal dancer and Dance Theatre of Harlem founder Arthur Mitchell passed away today in a Manhattan hospital. He was 84 years old. 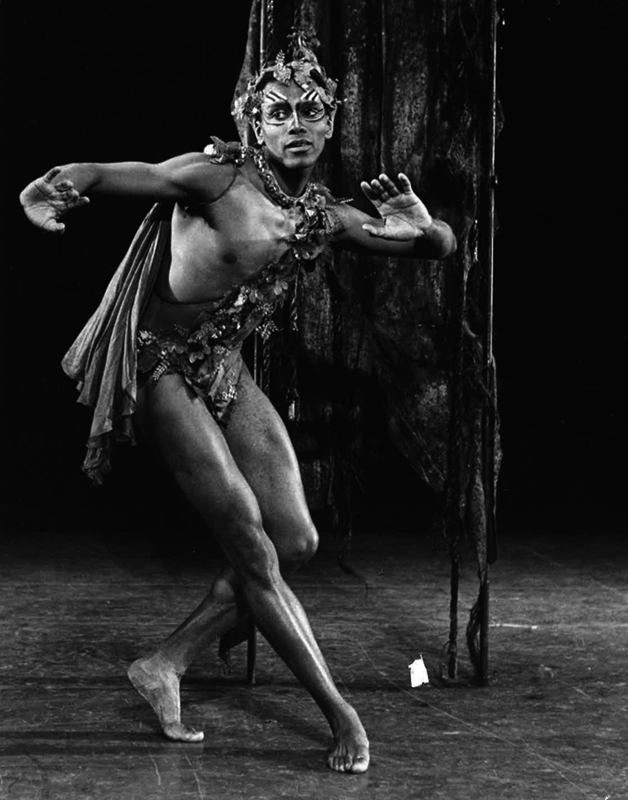 As a leading dancer with NYCB in the 1950s and '60s, Mitchell became indelibly associated with two roles created on him by George Balanchine: the central pas de deux in Agon (1957) and Puck in A Midsummer Night's Dream (1962). Mitchell's performance of the athletic, entwining Agon pas de deux with Diana Adams—a white woman—caused a major stir during a moment in which America was rife with racial tension. Photo via @KurtFroman on Instagram. Former New York City Ballet dancer Kurt Froman is best known for training celebrities such as Jennifer Lawrence for dance roles on film. Yet Froman's Instagram has become our newest obsession for a whole other reason. Over the past few months, Froman has been posting rarely-seen clips of old NYCB rehearsal and performance videos. These videos feature Balanchine dancers from the early days, such as Suzanne Farrell, Arthur Mitchell, Karin von Aroldingen, Allegra Kent and Jacques d'Amboise as well as recently retired stars like Damian Woetzel, Darci Kistler, Peter Boal, Wendy Whelan and Lourdes Lopez. The videos are majority of works by Balanchine and Jerome Robbins (often in honor of his centennial this year), mixed in with a few television features on Balanchine. If, like us, you're prone to geeking out over ballet history, you might want to set aside the rest of your afternoon (ahem, week) to dive in. We've posted some of our favorites below. Allegra Kent and Jacques d'Amboise in Balanchine's A Midsummer Night's Dream, early 1960s. Missed the "Balanchine's Guys" Live Stream? Watch It Here. Edward Villella, Arthur Mitchell and Jacques d'Amboise. Photo by Noam Galai/Getty Images, Courtesy NDI. Micael D. Harris, "Aspirations + Inspiration" (detail), with superimposed image of Arthur Mitchell, 1985. A telegram from Lincoln Kirstein to Arthur Mitchell inviting him to join New York City Ballet; an Al Hirschfeld drawing of Suzanne Farrell and Mitchell in Balanchine's Slaughter on Tenth Avenue; a sparkly red and purple Firebird costume and headpiece from Dance Theatre of Harlem's 1982 production—these are just some of the treasures on display at Columbia University's Wallach Art Gallery as part of an exhibit titled Arthur Mitchell: Harlem's Ballet Trailblazer. Open to the public through March 11, this collection offers a glimpse into Mitchell's boundary-breaking life and career. Mitchell was raised in Harlem, and joined NYCB in 1955 at the age of 21. He quickly rose to the rank of principal, and is known for originating lead roles in works such as Agon and A Midsummer Night's Dream. After the assassination of Martin Luther King, Jr. in 1969, Mitchell co-founded Dance Theatre of Harlem with his former teacher, Karel Shook. Under his over 40-year directorship, DTH became the first African American classical ballet company to achieve international acclaim. In 2015 Mitchell donated his archive to Columbia's Rare Book and Manuscript Library, starting a chain of events including a performance last October designed to share his vast contributions to diversity in dance with the public. 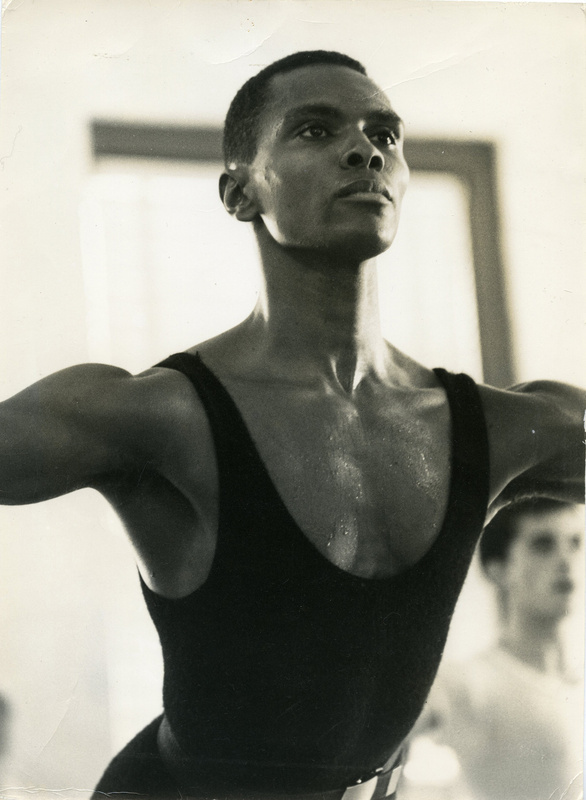 Arthur Mitchell in class, 1960s. Photo by Milton Oleaga. Arthur Mitchell Collection, Rare Book & Manuscript Library, Columbia University. Arthur Mitchell on "Agon": "My Skin Color Against Hers, It Became Part of the Choreography"
Arthur Mitchell. Photo by Eileen Barroso, Courtesy Columbia University. When American Ballet Theatre soloist Calvin Royal III and New York City Ballet soloist Unity Phelan burst into the opening diagonal of George Balanchine's Agon on Monday, they had reason to be nervous. Sitting in the downstage corner of Columbia University's Miller Theater—precisely where they'd need to spot their pencil turns—was Arthur Mitchell, the Dance Theater of Harlem co-founder and longtime director who originated the male role at NYCB in 1957. It was a rare and exciting moment of the future meeting the past. (Royal later described the experience as "surreal.") The two dancers, who had been coached by former NYCB principal Heather Watts, gave an electric and intense performance. Afterwards, Mitchell turned to the audience from his blue leather chair and smiled. "I would say it's in good hands." Royal III and Phelan performing "Agon" during the Vail Dance Festival. Photo by Erin Baiano, Courtesy Vail Dance Festival. Their appearance was part of "An Informal Performance on the Art of Dance," an evening directed by Mitchell to celebrate both his legacy and the Arthur Mitchell archive at Columbia's Rare Book and Manuscript Library. (The first exhibition featuring Mitchell's donated archives will be on display at Columbia's Wallach Art Gallery January 13–March 11, 2018.) A slew of guest artists came together for the program, which included works by Balanchine, Alvin Ailey and Mitchell himself (including his South African Suite and Rythmetron). #TBT: Ballet on Sesame Street—Suzanne Farrell, Angel Corella, Misty Copeland and More! You probably remember watching "Sesame Street" in your pre-ballet days, but did you know that some of your favorite ballet dancers and companies have appeared alongside your favorite PBS characters? We've rounded up some our most beloved ballet scenes from the classic children's program below. Remember the days when you counted "1, 2, 3, 4" instead "and, 5, 6, 7, 8"? Relive that time as you—and the Count—add up the legendary Balanchine muse's turns in this 1985 episode. Some may consider New York's Symphony Space a smaller theater, but big things were happening inside June 6–10. Just under 200 young dancers from all over the world were testing their luck at the Valentina Kozlova International Ballet Competition in hopes of receiving scholarships, medals and company contracts. Their jury? An international panel of company and school directors, chaired by Andris Liepa, that included State Ballet of Georgia's Nina Ananiashvili, Boston Ballet School's Peter Stark, Dance Theatre of Harlem's Virginia Johnson and Cincinnati Ballet' s Victoria Morgan. Virginia Johnson, former editor in chief of Pointe, was recently named artistic director of Dance Theatre of Harlem. Although the company has been on hiatus since 2004, the school and pre-professional ensemble are thriving. Johnson will work closely with Artistic Director Emeritus Arthur Mitchell to create a new strategic plan for the professional company.